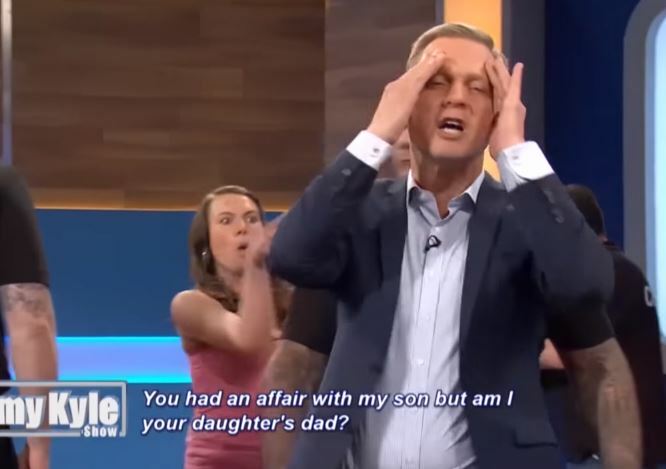 It’s no secret Jeremy Kyle doesn’t shy away from entertaining the trials and tribulations of the British public. But this time it looks like he could take his show to Westeros. So, basically, we have David. David dated Tasha. Tasha then slept with David’s 18-year-old son Jake, taking his virginity. Jake then said he did it to test Tasha. For whatever reason, Tasha is joyously angry. David is pretty much over it, despite the fact his son slept with his girlfriend. “Even by my standards, this is a bit shocking,” Jeremy says. Tasha later says she slept with Jake to get back at David for showing an apparent lack of affection in their relationship. As ever, there was no real conclusion to this family saga. A DNA test proved that Tasha’s baby wasn’t Jake’s, and everyone went their separates ways. As for the rest of us, the idea that you could bear a son who then does you over by doing your girlfriend will stick around for a bit longer.